I’ve been taking a greater interest in the electronic genre in recent years. I became a casual fan of Daft Punk while I was in college (2003-2007), but I never really explored much of their stuff. That changed a little over a year ago, following the breakdown of my dishwasher at home. I needed some type of music to keep me entertained while manually working my way through those never-ending piles of dishes, so I created a “Daft Punk” Pandora Station on my iPhone. Wow. Despite my wife’s opinion on the matter, I find that there is some truly excellent electronic music out there. One evening, in the middle of an extended dishwashing session, Pandora served up Daft Punk’s “Giorgio By Moroder,” and I was immediately enthralled. My new interest in electronic music was tied together in a major way with my long-existing love of witnessing individuals pursuing their passions. I had chills for the entire 9 minutes of the song. Giovanni Giorgio Moroder (known simply as “Giorgio”) is the pioneer of electronic dance music. 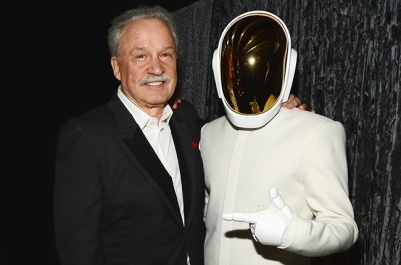 In “Giorgio By Moroder,” Daft Punk pays tribute to Giorgio by having him tell his life story on top of some tunes. The music itself is great, but what really grabbed me that night was the story of Giogio’s life – the courage he summoned to do something completely different, the hard work he put in, the sacrifices he made along the way, the risks he took, the wisdom he now imparts. Everyone—but especially we Millennials—can learn a lot from Giogio’s words in the lyrics below. So, I would take my car, would go to a discotheque and sing maybe 30 minutes. I think I had about seven, eight songs. and that helped me for about almost two years to survive in the beginning. and then have a sound of the future. so we put a click on the 24 track which then was synched to the Moog Modular. but I didn’t realise how much the impact would be. and there was no preconception of what to do. I was reminded of my experience with “Giorgio By Moroder” this week after reading an article about Giorgio’s plans to release a new solo album (his first in more than 30 years) in the spring of 2015. Now at the age of 74, Giorgio is defying expectations about what someone in his seventies should do. This doesn’t surprise me, though; just look at those lyrics again. Clearly, Giorgio has “freed his mind about the concept of age” and of “age-related-activities being correct,” so now he’s doing whatever he wants to do. When asked about the release, Giorgio exclaimed ,”74 is the new 24!” If that’s the case, Giorgio, let me be the first to welcome you to the Millennial generation. We are eager to learn from your experience as we work to pursue dreams of our own.